When can #MeToo be invoked, by whom, against whom? 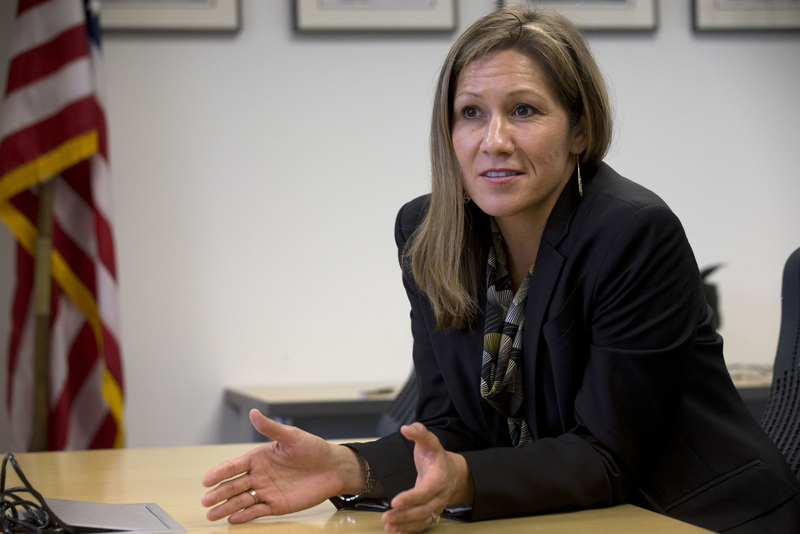 California gubernatorial candidate Amanda Renteria says the Democratic frontrunner, Lt. Gov. Gavin Newsom, should resign because of past relationships with women. No prominent Democrats offered their support for the push. And Newsom allies are accusing Renteria of exploiting and cheapening the movement. Over the next 15 minutes, a 21-point thread unfolded on Twitter, citing the #MeToo movement, sexual harassment statistics, and a list of politicians recently stripped from power — before making the case that Newsom, the leading Democrat in the California governor’s race, has exhibited “a pattern of misusing his power in the workplace,” based on publicly reported details about two relationships from more than a decade ago. The warning from Amanda Renteria, a 43-year-old Democratic operative who entered the governor’s race last month, left California political circles bewildered and transfixed — an unexpected and contentious turn in one of 2018’s biggest races, pitting rival Democrats against one another in the complicated political arena of the #MeToo movement. Renteria’s case against Newsom drew on the experiences of two women in 2005 and 2006. Newsom’s camp has since responded in blunt terms, accusing Renteria of exploiting the #MeToo phenomenon for political gain. The effort is one they describe as a “self-serving political stunt” that “cheapens” and “degrades” the movement. Almost overnight, amid tense Democratic primaries across California, the Renteria incident has turned the state’s gubernatorial race into a staging ground for complex questions about how candidates talk about the #MeToo movement and tell the stories of other women, when their campaigns may stand to benefit. Renteria, a former congressional candidate who served as Hillary Clinton’s national political director in 2016, joined the crowded California governor’s race last month. Her decision to run statewide — after just one failed congressional bid, in a field with nationally known candidates like Gavin Newsom and Antonio Villaraigosa, and just days before the party’s state convention — came as a shock to friends and former colleagues. Her campaign, a small operation based in Menlo Park, has remained quiet for much of the last month. Up until this week, a good number of Democrats believed she could be a plant for Newsom, to siphon off votes from Villaraigosa. 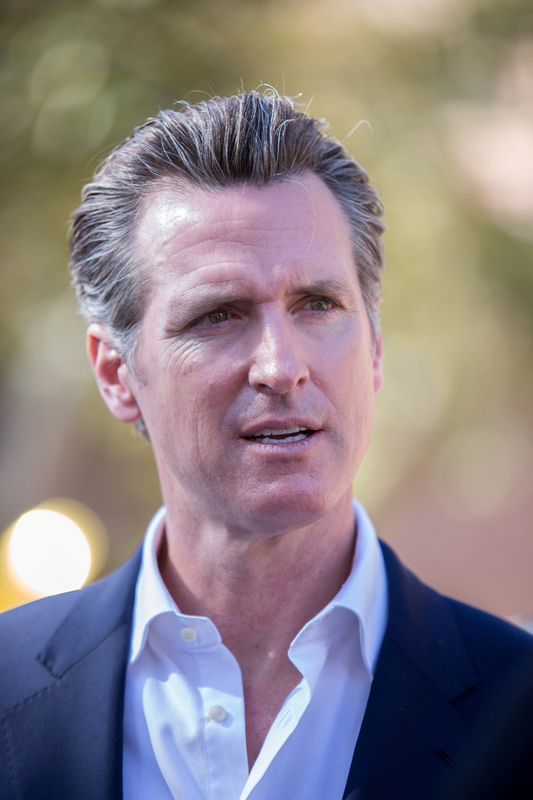 Since Thursday, however, no prominent Democrats have voiced support for the Newsom push. In California, other campaigns steered clear of the story. And in Newsom’s camp, aides and supporters came forward to openly question Renteria’s intentions. “This kind of brazen and self-serving political stunt doesn’t even deserve a response,” said Nathan Click, Newsom’s communications director. Her case against Newsom details two relationships from his time as mayor of San Francisco: a 2005 affair with his former staffer, Ruby Rippey Gibney, married at the time to Newsom’s friend and campaign manager; and a 2006 relationship, at age 38, with a 19-year-old model, Brittanie Mountz, who once made local headlines when photographers saw her with a glass of wine at a gala that Newsom also attended. Renteria said she did not attempt to contact Rippey Gibney or Mountz. Multiple California Democrats raised concerns about any political effort making reference to women and their experiences without first consulting with them. As she’s made her push for Newsom’s resignation, Renteria has cited details from both of these relationships — while also invoking the #MeToo movement and working to depict a “pattern” of workplace misconduct or misuse of power in the workplace. “I tried my best to not actually make it about the individuals,” she said. “I guess maybe I’m curious as to why people think we shouldn't talk about the underage drinking stuff, that we shouldn't be talking about what kind of workplace people set, that we shouldn't be talking about setting a higher bar in general in the place,” she said. Rippey Gibney and Mountz did not return requests for comment. Renteria is the first Democrat gubernatorial candidate to bring up the issue. “It’s actually surprising to me that it hasn’t been raised,” she said.